Moving can be a stressful situation regardless of your age. For seniors, moving out of a home you’ve lived in for several years can also be bittersweet; leaving behind memories built over a lifetime can stir emotions and tug at the heart. However, today, more seniors are beginning to recognize the joys that downsizing after retirement can bring. You may be looking for options to remain as independent as possible as you age. But, living a carefree lifestyle can be difficult when you’re still dealing with some of the burdens of home ownership. Your current home may require a great deal of maintenance, or maybe there are simply rooms you haven’t set foot in for several months. Plus, big ticket repairs like needing a new roof or furnace can certainly add up! Downsizing your home and moving into a senior living community allows you to recapture some of your precious free time to spend on the things you truly enjoy. You’ll reduce your stress levels, meet new people who share your interests, and feel safe and comfortable knowing that assistance is always available if you should need it. Get started early. 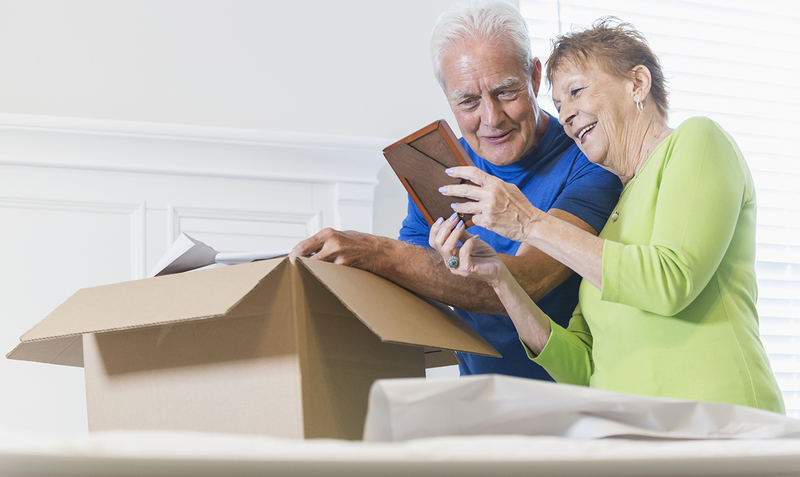 Even if your moving date isn’t set in stone, if you think downsizing is in your future, start going through your belongings sooner rather than later. Closets, attics, basements or unused rooms are good places to start. Start making decisions. While sorting through items, make quick decisions about what you’ll want to keep and what can be given to family, sold, or donated. This might be the most difficult part of the downsizing process, as we tend to attach memories to so many of our belongings. Create checklists. Stay organized by creating lists of things to do: cancelling utilities and transferring mail, rooms to go through, items to pack, etc. Make a moving plan. A moving plan will keep everyone on track on moving day. If you can get a floorplan of your new home, you’ll have an idea of how many of your belongings can come along and where furniture can be placed. Recruit others to help. Along with hiring movers, you’ll also want to enlist family or friends to help with downsizing your home. Even the most able-bodied individuals need some help moving! Designate what items go where or to whom. Maybe your son has always wanted the train set that gets displayed around your Christmas tree, or your niece would like some of your old photo albums. Make some of those tough decisions about your belongings easier by keeping them in the family. Clean as you go. While rooms are emptying out, dust and run the vacuum to keep them tidy. This way, you won’t have to worry about cleaning the entire house right before your moving day. Fill a “first night” box. Pack a box with things like paper products, snacks, linens and toiletries to make the first night in your new home as comfortable as possible. You won’t have to worry about immediately digging through your boxes for things you may need, and can unpack at a more leisurely pace the next day. Give yourself time. Remember, downsizing your home is a process that when possible, shouldn’t be rushed. Take time to go through your household, make smart decisions, and get everything packed safely in advance of your moving day. Thorne Crest has served independent seniors seeking the highest standards of living since 1975. We offer a full range of senior living options and services to meet your needs, now and in the future. 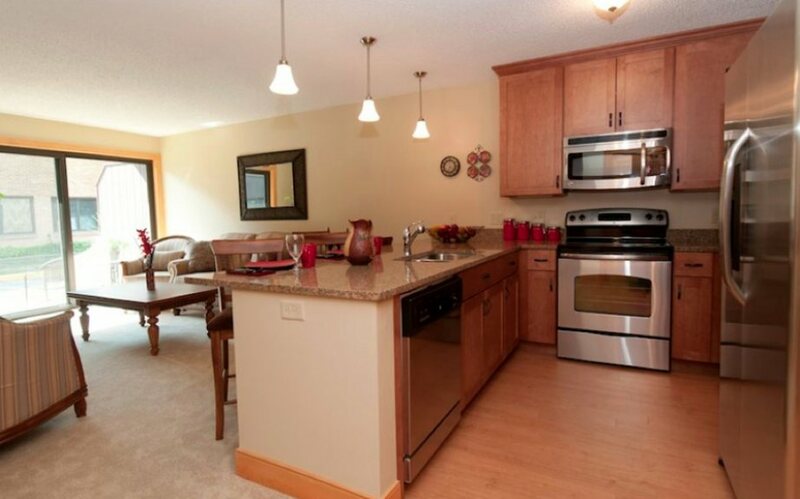 Click here to schedule a tour or please call 507-373-2311 today.